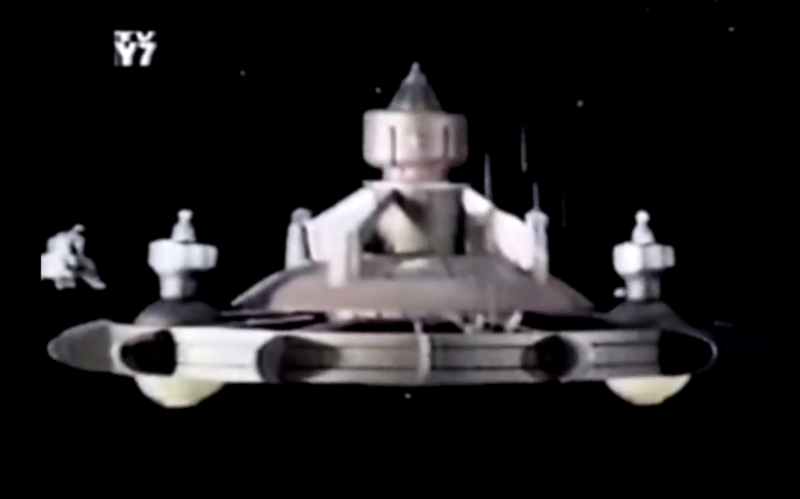 In “Vanishing Aliens Mystery,” the Space Nuts (Chuck McCann, Bob Denver, and Patty Maloney) seek shelter from a space storm aboard a haunted space platform or station. There, assembled aliens, including Lantana, are waiting for the reading of a dead man’s will. They all hope he will leave his estate, including the space station, to them. Unfortunately, a glowing creature is also guarding the station, and kidnapping the guests, one at a time. Barney and Junior are accused of being behind the disappearances, and they get one hour to prove the theory wrong. Intriguingly, “Vanishing Aliens Mystery” even devises a version of Alien’s (1979’s) famous tag-line four years early. At one point, a character notes “If you get very afraid and scream, no one can hear you.” It’s an awkward precursor to “in space, no one can hear you scream,” but it transmits the same idea. 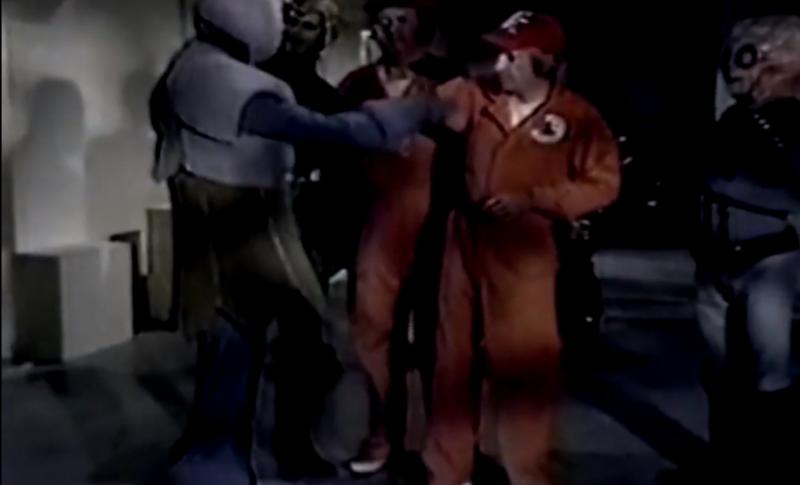 Also fun is the fact that “Vanishing Aliens Mystery” brings back the costumes and aliens from previous episodes, including Crystallites and Pippets. Sure, it’s just a re-use of what the series already had in its wardrobe closet, but the return of these various aliens suggests a larger, consistent universe. A fave, especially since Lantana came back.